“Do Not Poke the Fire with a Sword,” early 16th century. Via the National Gallery of Art. 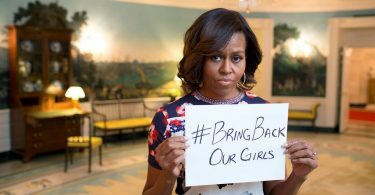 On the mass kidnapping of Nigerian schoolgirls by the insurgent group Boko Haram, a crime that has attracted widespread global attention: The US has said it will provide limited technical assistance to the search efforts, despite the Nigerian government’s past reluctance to accept American help in its fight against Boko Haram. Dan Murphy reminds that contrary to nearly all popular coverage of the group ‘Boko Haram’ doesn’t really translate as ‘Western education is a sin’; a more accurate translation shows greater nuance. Hayes Brown examines why the Nigerian military has had so little success combating the group. On Twitter, Laura Seay urges news organizations and social media users not to take the feel-good but harmful act of sharing the kidnapped girls’ names. Via Azmat Zahra, why freelance journalists, increasingly used by news agencies due to their lower cost and liability, working in war zones like Syria face greater risks than staff reporters. How should we count the war dead in Syria? In a powerfully symbolic victory, the Syrian government has retaken the city of Homs, Syria’s third largest, in a negotiated rebel evacuation. The US has also bumped up non-lethal aid to Syria rebels, but what moderate opposition fighters say they really need are more weapons. Speaking of weapons, India signs an agreement to pay for Russian armaments for Afghanistan (via Tanvi Madan), drawing attention to post-2014 Afghanistan’s role in the India-Pakistan rivalry. A clash on the un-demarcated Kyrgyzstan-Tajikistan border leaves up to 60 injured (via Matthew Kupfer and Ingrid Pederson). In eastern Ukraine, separatists say that they will push ahead with a scheduled independence referendum despite Russian president Vladimir Putin’s wishes to delay the vote, highlighting how tenuous Russian control over separatist activists may be. Living among low-intensity conflict in the three provinces of Thailand’s Deep South, divided by language and religion from the rest of the country. Via Rachel Strohm, an in-depth investigation of efforts by the government of Rwandan president Paul Kagame to kill political opponents abroad. Emilie M. Hafner-Burton on building better strategies for global human rights protection (via IR/PS).